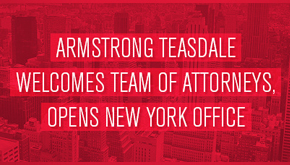 Jack Dayon is an associate in the firm’s Financial and Real Estate Services practice group. He focuses primarily on real estate matters. He also has experience with cases involving bankruptcy and financial restructuring, as well as loans and mortgages. Prior to joining the firm, Jack was an associate at a mid-Atlantic law firm focusing on business and real estate matters. Before that, he was a summer associate with a law firm in Central Islip, New York.